I’m lucky to have discovered a new novel, Faces, written by Diane Winger. 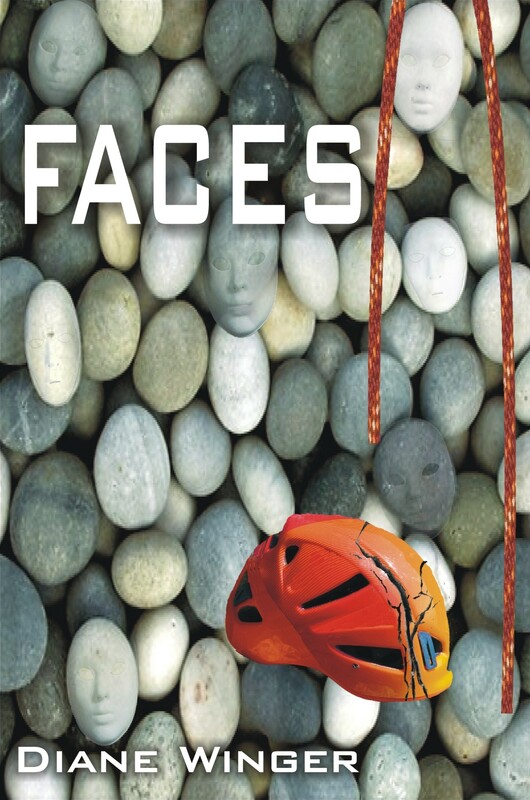 Faces is a wonderful book offering a glimpse into the life of a prosopagnosia patient. The education on face blindness you will receive is hidden within the pages of an intriguing mystery. Diane, herself, has prosopagnosia. She knows first-hand the techniques used to help recognize faces and coping mechanisms developed to assist with overcoming unexpected challenges. Faces is a book about Jessica. Jessica develops face blindness after a rock climbing accident. She awakes to a world filled with strangers. A team of embezzlers target her to help them carry out a crime after they realize the severity of her face blindness. Now that everyone looks like a stranger to Jessica it hinders her ability to help solve the crime. Throughout the story, Jessica continues to fulfill her love for rock climbing as she faces escalating dangers this crime presents. Some technical sections confused me regarding terms and events dealing with rock climbing. I felt the need to quickly skim over those, so I did not lose the increasing momentum of the mystery. I also hope the extreme deception experienced by the main character is understood by readers to be a work of fiction. It’s very unlikely a true deception of this level could be carried out on a “typical” prosopagnosia patient. All-in-all, Mrs. Winger did a spectacular job entertaining readers while telling what it is like to experience a world where everyone is a stranger. I hope you take time to read this book. It is available both through Amazon on Kindle or by paperback.